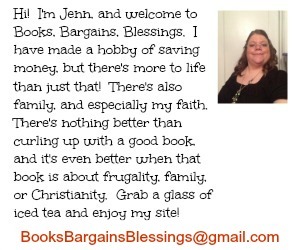 FTC disclaimer: I received an advance reader's copy of this book from Family Christian in order to do a review as well as compensation for running a giveaway. The index card in my hand felt so obvious. I folded it so no one saw I still had it as the buckets went down the row to collect these cards from other students. I was at a conference and nearly everyone filled out a card saying they pledged one year of their life to full time Christian work. I didn't know if I could do that. Rather than lie and sign my name to something, I didn't return it. I still have that card, unfilled out, and stuck in the Bible I took to that conference. It's stayed in there for seventeen years as a reminder. First a reminder of guilt. Now a reminder of I'm free to be a Christian without the promises and works. In Runaway Radical, Jonathan Hollingsworth reminded me so much of myself at his age. I recently tweeted to him that his book showed me where I went wrong in college. Yet, in some ways, like the author, I'm still trying to get it right. I grew up in a legalistic church. No movies. No dancing. I became legalistic in relationships with men and gave up dating for God's standard. Yet, the husband I felt God was going to lead to me didn't appear. (As I write this, I am 41 and getting ready to be married for the first time. What would it have done to my faith at age 20 to know I would have to wait another two decades for marriage?) Over time, I began to see the rules as legalism. I began to shed the don't, but in the process, I picked up the "do"s. Go on mission trips. Care for the least of these. I remember feeling called by God to go on a missions trip in college. I remember a few nights before I left I got on my knees to beg God to consider I was willing to do that for Him, and wouldn't it please be enough, did I really have to go? I had to. And it was a very difficult time. These are the missions trips you don't hear about in church. I had a lot of financial support. I returned and spoke in churches of the good parts of the trip, the difficulties swept under the rug. This is why this book resonated so much with me. One of the lines in the book says something to the effect of he learned to be sold out and extreme for Christ, but what about teaching us to be average Christians? I'm sorry to say, I'm still learning that. I'm twice the age of the author, but I'm still figuring out it's okay to be a normal person and a Christian. It doesn't make us any less of one if we have jobs where we work for secular employers. It might FEEL wrong, but I learned years ago that we are to serve God where we are going, not go and serve. Yet, I still heard little about that. Go. What if we stay? Not all missions organizations are the same. 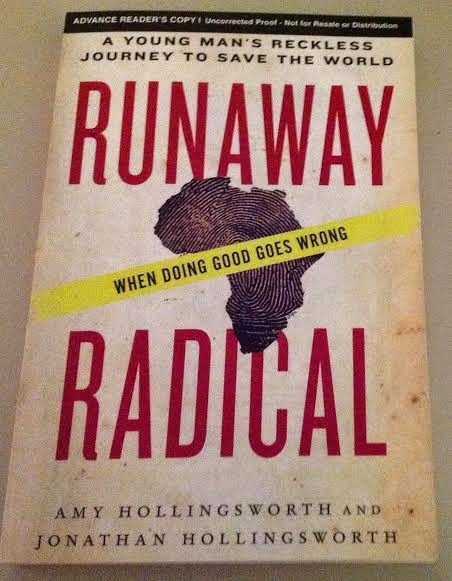 Some, like the author of Runaway Radical, would be better if we stayed away from them rather than partnering with them. Not everyone is cut out to be an overseas missionary. You could be allergic to a key ingredient in food of a certain country. What happens when you feel God calling you to something and you fail? Does it mean He failed you? Did you not hear Him? This book wrestles with these questions and more. I can't tell you how highly I recommend this book. It is one of the books that I believe will stand the test of time and become a classic, and hopefully even required reading for future missionaries. God does call some people. I have several friends who are foreign missionaries. But make sure the "Go" is from God and not from guilt because we as Americans have so much and there are millions in this world without the luxuries that we have because we were born into this country. Before you go, read this book. I would like to get the Veggie Tales Noah's Ark dvd. I love the Maude Asbury Geofabulous Collection - 4 Notebook Set. So cute! kristiedonelson(at)gmail(dot)com Thank you. I love the this giveaway! haha. I would get the 4 book set.